Winning the Mastercard Best New Musical award at the Oliviers is a big deal, and an achievement that every musical wants adorning the shelves of their production. Over the years it’s been won by shows that went on to have huge success. In fact, many of them are still in the West End today, including Hamilton, The Book Of Mormon and Matilda The Musical. This year the competition is fierce, with four incredible shows nominated for this prestigious award – Come From Away, Fun Home, Six, and Tina – The Tina Turner Musical – any one of them could be taking the Olivier Award for Best New Musical home on Sunday 7 April. Come From Away is actually up for nine Olivier Awards, and apart from Company, no other show has these many nominations. Their nominations include Best Actress in a Supporting Role in a Musical for Rachel Tucker (Beverley, Annette and others), Best Actor in a Supporting Role in a Musical for Clive Carter (Claude and others) and Robert Hands (Nick, Doug and others). You may be aware that the show is based on a true story, when 38 planes full of passengers were diverted to Gander, Newfoundland when the American airspace was closed following the tragic 9/11 attacks. The people of Gander opened up their homes, churches, schools and even ice hockey rinks to accommodate the “plane people” for several days. But did you know how these stories got heard in the first place? When the idea was initially pitched to them, Irene Sankoff and David Hein (who wrote the music, lyrics and book of the show), decided to visit Gander on the tenth anniversary of 9/11. They interviewed locals, as well as the returning Come From Aways and heard their stories. They took these interviews and turned it into the musical, with some of the interviews merging to create several characters, and others having their own story told. Not only are the characters based on the real people that Irene and David met that day, but some even share the real names. The Kevins, Beverley, Beulah, Diane, Bonnie, Hannah as well as Nick and Diane are all the real names of the people they’re portraying. The story is so incredible, there’s currently a film adaptation underway, with Irene and David fully on board with the project and writing the script. 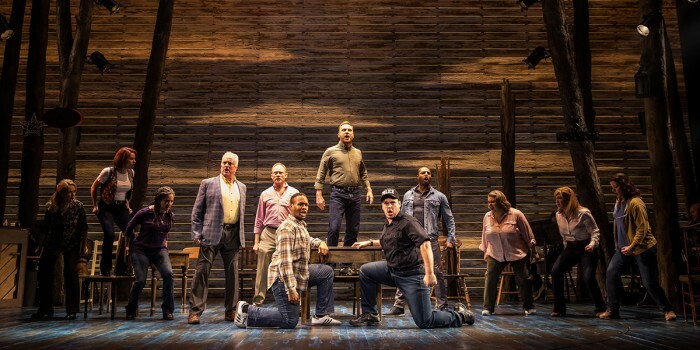 We’ve got plenty more Come From Away knowledge where that came from, including a breakdown of each character and the real story behind them! The inspiration behind musicals can come from many things. It can come from real life, a film adaptation, or even grow from a concept album. But Fun Home’s origins are a lot more unusual, as it’s adapted from a comic memoir created by Alison Bechdel. Alison’s illustrations documented her journey into adulthood, the discovery of her sexuality, the relationship with her gay father and her attempts to find out the secret part of his life that he kept hidden from the family. The show took five years to complete, and even during the preview period on Broadway, the actors were often required to perform new material at late notice. 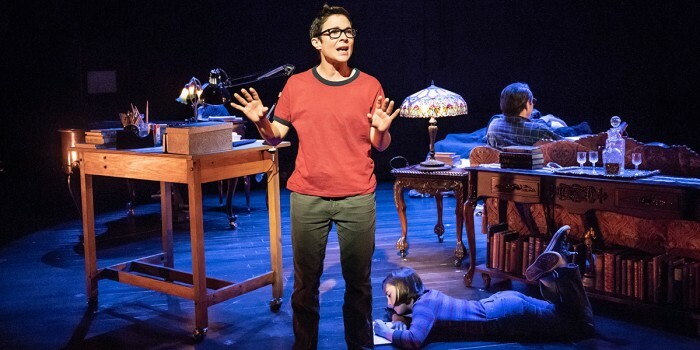 But it was worth the wait, as Fun Home became the first ever Broadway musical with a lesbian protagonist. It’s now nominated for three Olivier Awards, including Outstanding Achievement in Music and Best Actor in a Musical for Zubin Varla, as well as it’s Best New Musical nomination. The show was created by Toby Marlow and Lucy Moss while they were at university. While most students spend most of their time delicately balancing studying and their social life, Toby and Lucy spent their final year at Cambridge University writing a musical. Not only did they do this as students, but they also wrote it around the same time as their final exams! Six was initially meant to just be a show at the Edinburgh Fringe. And when audiences first saw it, it didn’t feature the Queens we know and love now, but was performed by the Cambridge University Musical Theatre Society. But unsurprisingly, this musical Edinburgh show got attention from several West End producers, and before they knew it, Toby and Lucy’s student show was booked to perform six performances at the Arts Theatre. 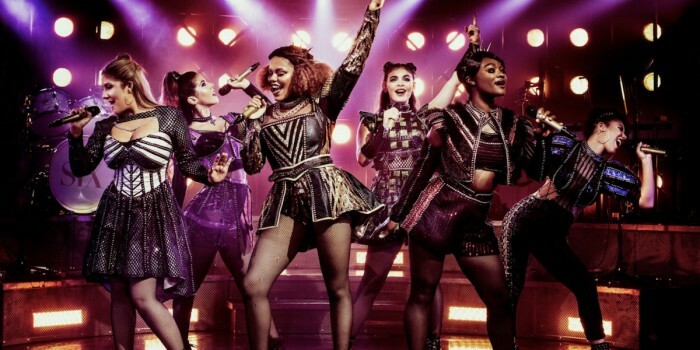 The show has since sold out a UK-tour, is on its second run at the Arts Theatre (which quickly got extended from 12 weeks to a year) recorded a soundtrack that’s been streamed on Spotify several million times and is about to have its North American premiere in May 2019. 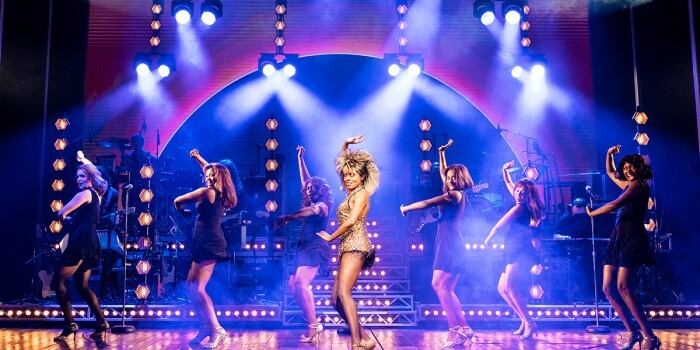 Tina – The Tina Turner Musical has received three Olivier Award nominations. As well as Best New Musical, this production is up for Best Actor in a Musical (Kobna Holdbrook-Smith) and Best Actress in a Musical (Adrienne Warren). The show had its world premiere in the West End, so London audiences were the first ever to witness its magic. The legend Tina Turner herself even attended the first workshop in 2016. The musical took over a year to develop and hone, before opening in March 2018. Within a year it had played to sold-out audiences and recorded its very first cast album, which you can preorder now! The show’s success is already starting to go global, with Tina – The Tina Turner Musical currently on in Germany, and a Broadway production currently being planned. While the Broadway announcement is exciting, it does mean the West End cast will sadly be saying farewell to Adrienne on 13 April, as she heads over to the USA to reprise her lead role as Tina in the autumn. However, Nkeki Obi-Melekwe will make her West End debut as the legendary Tina just two days later. Nkeki has seriously impressed audiences over the ocean, having only graduated from drama school last year, she recently made her professional off-Broadway debut. 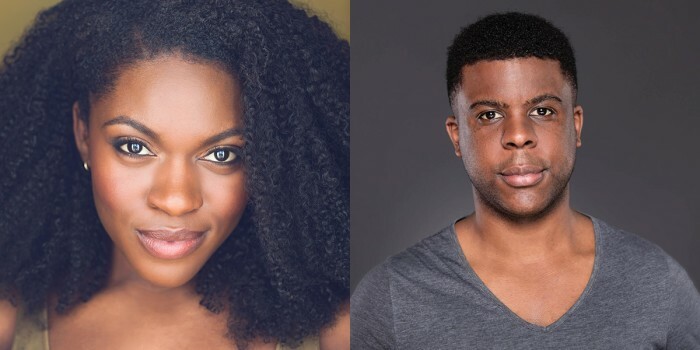 Nkeki will be joined by Ashley Zhangazha as Ike, who’s previously appeared in Death Of A Salesman, Hamlet and Guys And Dolls, for which he won Best Performance in a Musical at the UK Theatre Awards last year. Find out who wins this prestigious award by watching the Olivier Awards 2019 with Mastercard on Sunday 7 April. And find out who else is nominated on our dedicated page!